Be An Elf | Make needy children smile on Christmas morning! 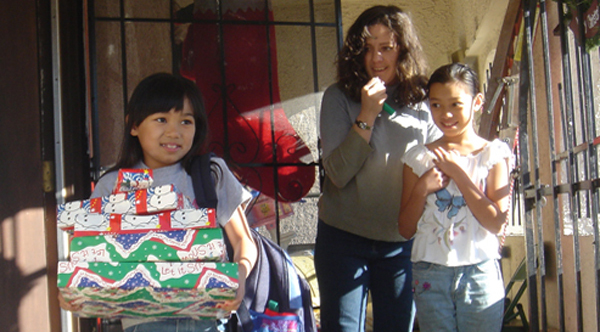 Make needy children smile on Christmas morning! Be An Elf sends needy children gifts at Christmas, creates public awareness of the Operation Santa program, recruits new volunteers, and brings everyone closer to the true spirit of Christmas. You can make more children in need smile on Christmas morning. Please make a generous gift! Be An Elf has given me a truly wonderful way to get gifts directly to low income children. I only wish I could be there to see their smiles on Christmas morning! This is an awesome charity, and we donate every year. Be An Elf has partnered with Network for Good to securely process your online credit card payment via Network for Good (tax ID 68-0480736). This transaction will appear on your credit card statement as "Network for Good." This transaction is subject to Network for Good’s Privacy, Security & Disclosure Statement and the Charitable Solicitation Disclosure. © 2016 Be An Elf - All rights reserved.